Will Solar Panels In Tucson Save You Money? How Much? Costs? Tucson, located close to the border of Mexico, is home to a little over 500,000 people, and the metro area has about a million residents. The city has a history with government contractors and high-tech industries have risen in the area to meet the demand. Tourism is also a major factor in the economy, especially because the city has nice weather in the winter months. In the summer, it gets rather hot, though, and air conditioning will be running often. The city also sees about 3,800 hours of sunshine a year, which is equivalent to 86% of all possible sunshine hours. This means Tucson is in a great place to harvest solar energy. 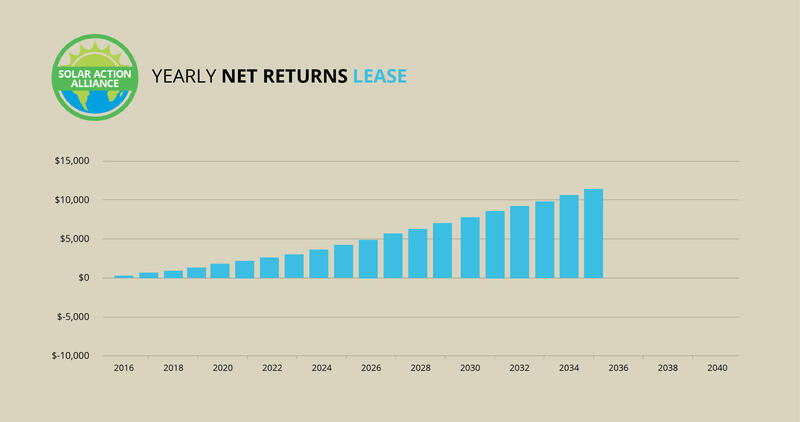 Renewable energy is becoming more and more common and desirable. Some countries, like Germany, are even pushing for more renewable energy, including solar. But Germany does not have anywhere near as a conducive environment as Arizona for solar production. Nonetheless, the country has installed 40,000MW of solar capacity. The sun’s energy striking the Earth’s surface is more than enough, so why not use it? With Chinese solar production ramping up, the price of solar panels are falling. 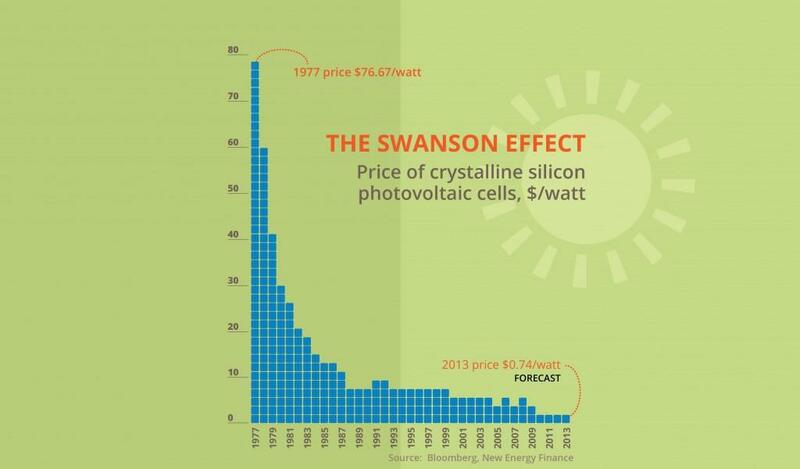 This is part of the Swanson Effect (see infographic above): the more panels that come on line, the farther prices will fall. That means it is now feasible to install residential systems without a major financial struggle. 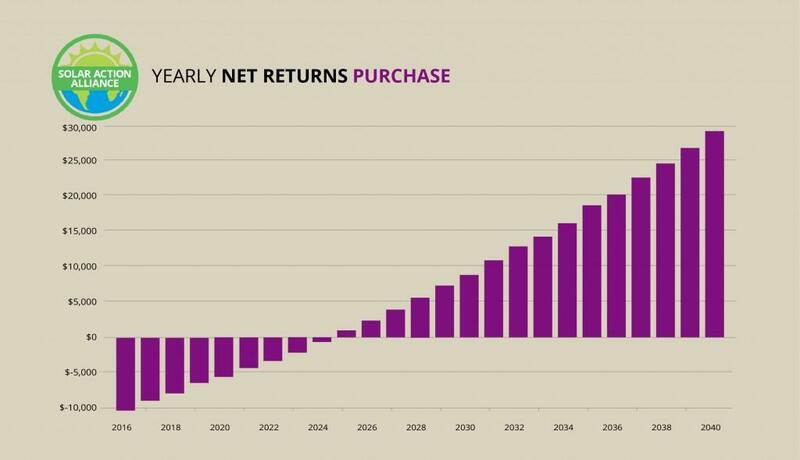 So much how should you invest to stay within reason? Let’s ignore the benefits for the planet for now. You will need about $20,000 to install a system that generates about 5kW. That is more than most houses will be using, though you need to check your own usage before making your decision. I said the greater output of panels has pushed down price, so why is it still $20,000? Well, it is still isn’t very cheap to install the capacity. However, government tries to help somewhat. Your costs can be reduced by taking advantage of the Residential Renewable Energy Tax Credit. The credit lets you knock 30% off of your taxes – you can’t actually take the cash, but you will pay less in taxes, so, depending on your income, you may see a significant reduction. Let’s say you can take the whole thing, so you save about $6,000. 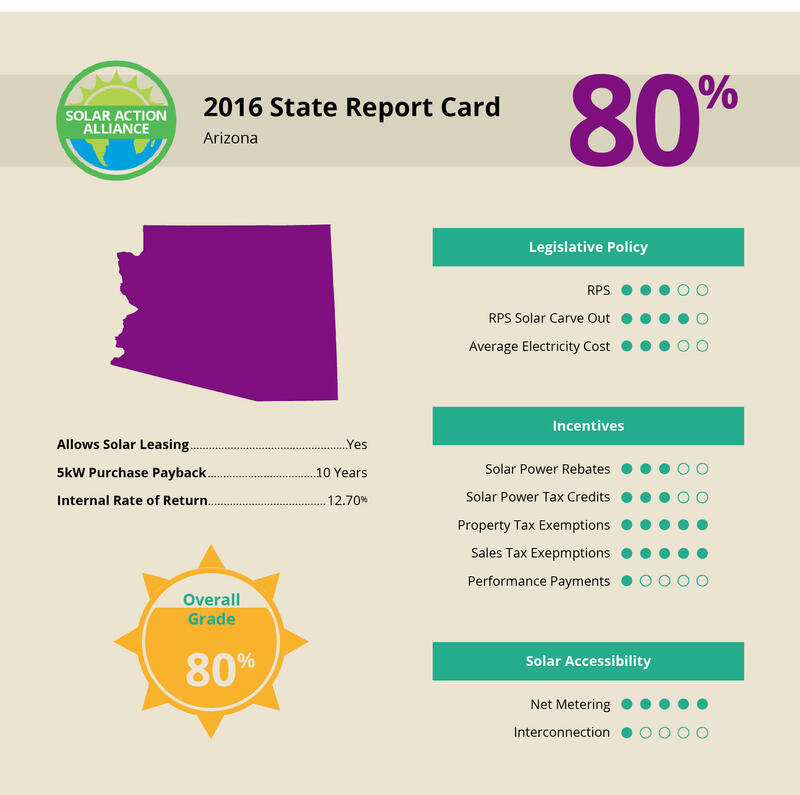 The next place to look for rebates and incentives is the state of Arizona itself. They offer at least two incentives. The first is the Property Tax Exemption, in which the cost of the solar installation is not counted towards your property tax assessment. The other is a personal tax credit of 25% for the household residents, up to a maximum of $1,000 per resident. This must be claimed in the year of the installation, and if it doesn’t cover the full liability, it may be carried forward over 5 years. So if you make money in Arizona (which you probably do if you live there), you should consider both of these incentives. Now, let’s say there are just two people in your household and you take full advantage of all your tax credits. You are at $12,000 for the cost. Using the ElectricityLocal.com average monthly bill for Arizonans of $120, if you provide your own energy completely, you need exactly 100 months to pay off your investment. The lifetime of most solar systems is at least 20 years, so you have more than half of your system’s life left to reap the benefits. In order to finance your new project, you need to put up some serious capital. That capital comes from three main sources: cash, credit, and leasing. Cash – this is the most financially sound way to go. You immediately get all the benefits of the system and you can do whatever you want with it. It is your system from the time the money transfers until the time you sell it. Credit – you will go to a bank to get credit, just like for anything else. 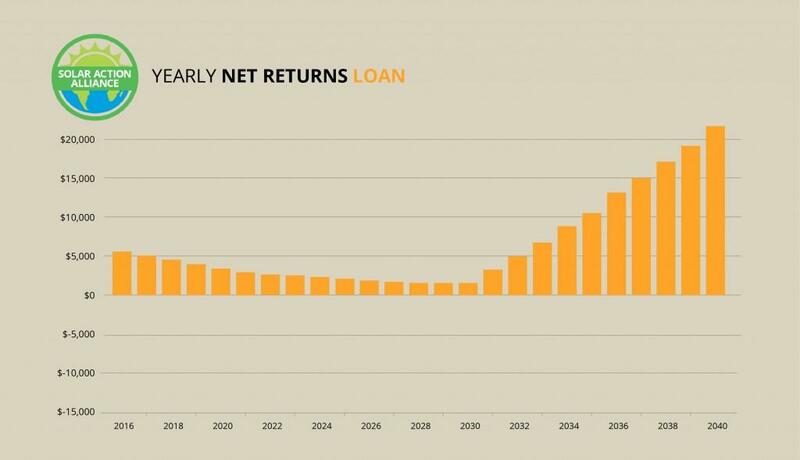 There are some banks out there that specialize in these loans, so you might be able to find one. The downside is interest payments, but you can write these off your taxes, since most of these loans will be secured loans. Don’t forget to factor in interest expense when doing your ROI calculation, though. Regular Leases – you lease the equipment for a fee, and sometimes the company will let you lease-to-buy. You don’t own the equipment but you get all the benefits of the output. Power Purchase Agreement – you agree to buy the energy generated from the system at a certain price for a set period of time. This type of lease is slightly different from a regular lease, because you are not leasing the equipment itself, just agreeing to pay for the energy generated by it. 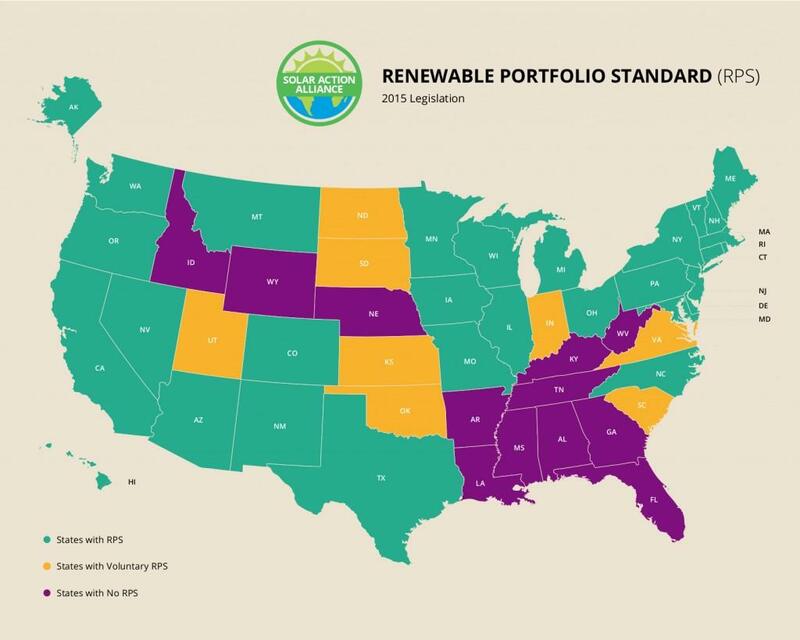 To get more people to use renewables and to encourage utilities to encourage users, many states have a Renewable Portfolio Standard (RPS). Arizona is one of those states. The state has mandated that 5% of utility energy generation come from renewables in 2015 and it rises by 1% every year until 2025. After 2025, it is held steady at 15%. The RPS also requires that 30% comes from “distributed generation”, meaning it should come from residential and business customers instead of the utility itself. Unfortunately there is no “carve out” for solar in Arizona, which means that the 15% in 2025 can come from any type of renewable, not just solar. That said, the utilities still must meet the 30% distributed generation requirement. Since most businesses and residents are likely to install solar over other types of generation, the utilities are still interested in pushing solar for residents like yourself. And while net metering took a hit in December 2016, you still get net metering. The new scheme allows the utility to pay you based off a complex formula that takes into account how much it costs them to generate the power with fossil fuels and how much it saves the utility to get it from the customer. It isn’t the retail price anymore, but it is still the net metering concept. Arizona is a great place for solar. The natural resource itself is extremely plentiful and the very high sunshine percentage indicates Tucson residents would do well generating energy for themselves. Net metering is not as great as neighboring California, but you can still get it and the cap isn’t extremely low, like in Louisiana. Furthermore, Arizona has an RPS, while some states do not. Of course, all the states in the American Southwest, where there is plenty of sunshine, do have RPS. So for the region, Arizona doesn’t stand out, but for the country, it is in a better position than say Arkansas (because of regulation) or Wisconsin, with its lower sunshine hours. There are some more things to consider before installing. First, you need to know what kind of installation you want. You could go with a ground-based array if you have the land and don’t mind having something on the ground. If you happen to be short on land, you may want to consider a solar pole, which would let you stack up the panels vertically. But the most common style in the future for residential projects will most certainly be the roof-style installation. Tesla has come out with four new designs to make it more appealing to the average homeowner. Further, they offer a battery system for their installations. This is important because you use energy at night, too. You will need to think about how much extra energy you need at night before deciding on a battery capacity. Though it is recommended that if you think you will ever want a battery, you should install one from the beginning. It requires a different type of inverter, and you will need to pay extra for that later if you switch, which just raises the cost of the system overall. A final consideration is your freedom. If you can generate enough electricity to sustain yourself, you won’t have to rely on a company that may change rates on you. You can also keep your home running in the case of a blackout, which can occur if too many people try using the grid at once. With the growing population of the city, you can never discount that, in the future, the infrastructure will be insufficient to handle the demand. Arizona is a great place to go solar, if not just for the high abundance of the resource. The recent net metering setback puts it behind aggressively renewable states like California, but the RPS is relatively high. Unfortunately there is not carve-out for solar, but none of the other styles seem to be poised to take over the role of the distribute generation requirement. No one is going to be installing huge geothermal or biomass production facilities, especially on private property. Tucson is a good place to go solar. 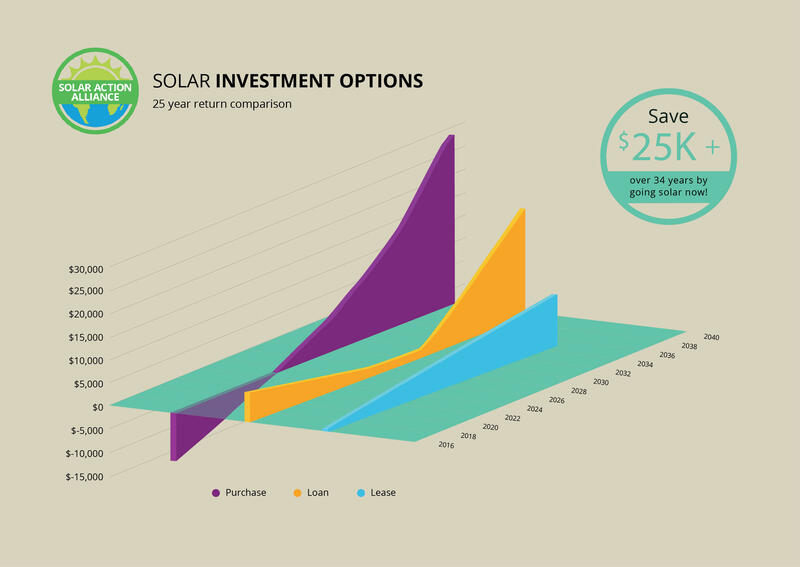 Speak to a solar professional today to get a better idea of how much your individual project will cost and what kind of financing may be available in your immediate area. You will need to do a little homework to make the decision, but the future of energy is in Arizona, and it is solar energy.